Perfect for showing a large group! Take it up a notch and add our Movie Package for your next event. You must add the video source and movie. 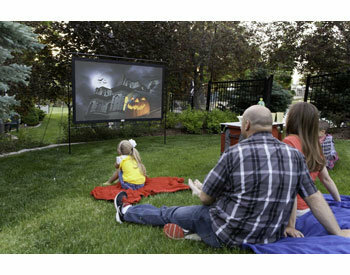 Perfect for providing an outdoor movie night at your event!